oomph. : a week of yellow. breezy top. lately, spring has been creeping into my closet in the form of yellow. from pale shades to shocking chartreuse, you can't help but smile when wearing this cheery color. 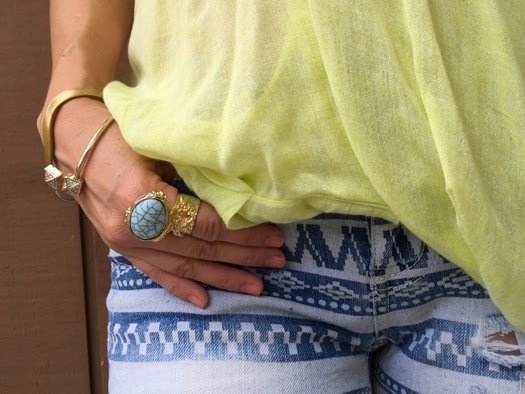 this week is all about this fun spring color, and i'm kicking it off with this easy breezy gauzy top from Patty's Closet. what color are you sporting this spring? make sure to follow @rockoomph on instagram for details on an upcoming Patty's Closet giveaway! I love yellow and is true what you said - Is impossible look to yellow and dont smile :) Yellow is very happy color. So fresh and yes, it's a happy colour! 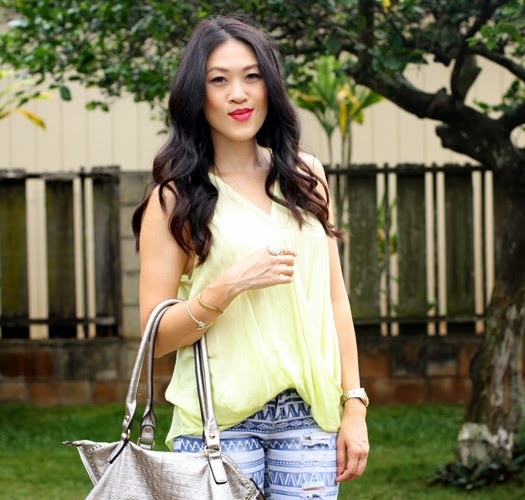 The yellow looks fab with the print of your pants! Yellow is my favorite Spring color. So sunny. BTW, Oomphelia, I just put up a very special post on my blog. I'd really appreciate getting your opinion on it, if you have a minute. Thanks. Yellow is such a happy color and you can never go wrong with it. Yellow is so spring-y and pretty. I only wish I could pull it off as well as you. Gorgeous! Those pants are super cute! Very cute! I hardly wear Yellow, I think I'm too fair it totally washed me out :( It is such a fun and vibrant color! You can't help to be happy wearing it! Have a nice week! This cool yellow looks really awesome on you! I love yellow - wondering if I could swing it with my slightly darker 'do!